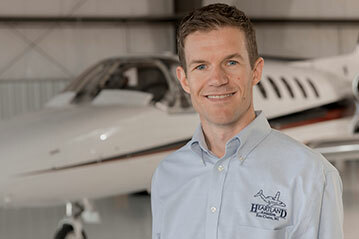 Kjell, originally from Norway, recently re-joined Heartland Aviation to be a Citation II pilot. He began his career at Heartland in 2001 as a flight instructor and twin-Cessna charter pilot. After leaving Heartland Aviation in 2003, Kjell worked as both a corporate and airline pilot, and has accumulated over 11,000 hours of flying time. Just prior to re-joining the Heartland Aviation Team Kjell served as a Captain on the Boeing 777 for the Dubai based Emirates Airline. Kjell is a graduate of Concordia College in Moorhead, MN. He is married and has two children. In his free time he enjoys running and woodworking.